In accordance with the Climate Action Plan 2050, Germany is to become predominantly greenhouse gas-neutral by 2050. However, it is not possible to fully decarbonize the transportation sector when vehicles are powered by combustion engines that use fossil fuels. This is also the case if the entire remaining potential for optimizing combustion engines and vehicles is exhausted. In order to achieve the CO2 emission targets, suitable concepts are therefore necessary. Refer Appendix for Contributing authors and Project support. We would like to thank all companies involved in the project and, in particular, the more than 40 experts from the cross-sector innovation network of the FVV, who assisted the authors of the study with their advice and contributed their specialist knowledge. 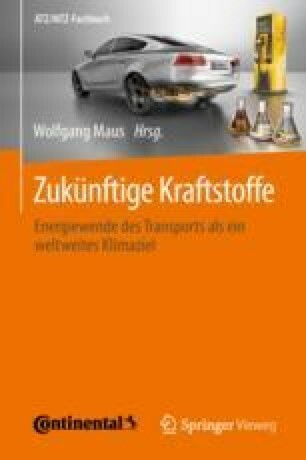 Contributing authors—Felix Ortloff | DVGW Research Centre at the Engler-Bunte-Institute (EBI) of the Karlsruhe Institute of Technology (KIT), Gas Technology, Stephan Stollenwerk | innogy SE, Ralf Thee | Research Association for Combustion Engines (FVV) e.V. The study ›Defossilizing the transportation sector – Options and requirements for Germany‹ has been prepared for general guidance only. The reader should not act on any information provided in this study without receiving specific professional advice. FVV does not guarantee the correctness, accuracy and completeness of the information and shall not be liable for any damage resulting from the use of information contained in this study. A briefing paper summarises the most important results of the study: ›Energy paths for road transport in the future – Options for climate-neutral mobility in 2050‹.